Christopher Eanes is a conductor and teacher living and working in the Over-the-Rhine neighborhood in Cincinnati, Ohio, where he is the Managing Artistic Director of the Cincinnati Boychoir and the Artistic Director of Collegium Cincinnati. He performs more than thirty annual concerts with the Cincinnati Boychoir internationally, and each year leads Collegium Cincinnati in an active season that includes a month-long Bach Festival. 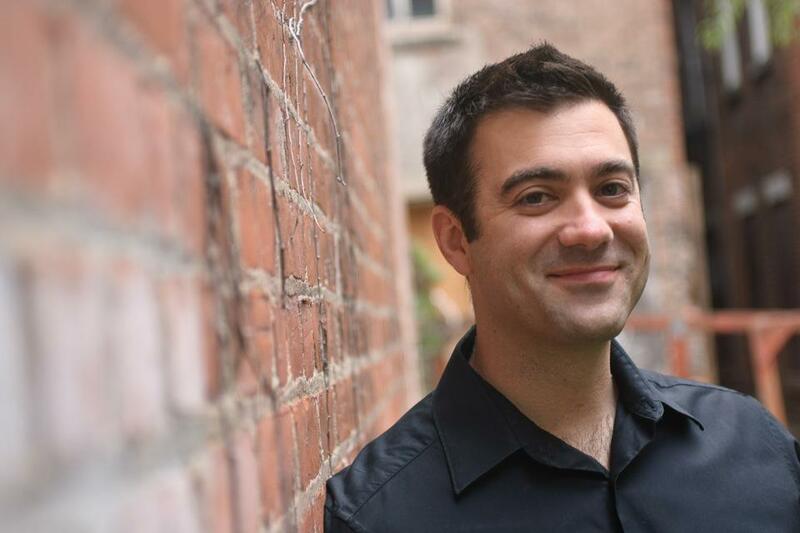 Chris’ passion lies in finding new ways to connect people with musical experiences, and he has done this through various media, including choral, orchestral, and chamber music, opera, and as a private coach and teacher. The Cincinnati Boychoir currently reaches more than 250 boys from the Greater Cincinnati area, and recently celebrated its fiftieth anniversary with a major commission from composer Dominick DiOrio. Non-profit work runs in his family. As a member and leader of several non-profit boards including the Young Professionals Choral Collective and the Greater Cincinnati Choral Consortium, Chris is active in working with organizations to maximize their artistic and educational impact. He has led strategic/vision planning and fundraising workshops, and served as an informal advisor to several choral organizations on topics of governance, management, and collaboration. Following an appearance with the Cincinnati May Festival, Music Director James Conlon wrote, “The Cincinnati Boychoir, under the direction of Christopher Eanes, is an outstanding cultural asset to Cincinnati’s rich musical life.” Chris has presented concerts in conjunction with the Elementz Urban Arts Center, Cincinnati Symphony Orchestra, Cincinnati Opera, the Taft Museum of Art, the Center for Holocaust & Humanity Education, and the National Underground Railroad Freedom Center. Chris’ work with the Cincinnati Boychoir was featured in Chorus America’s Spotlight on Innovation (The Voice, Fall 2009) and numerous times in the Cincinnati Enquirer and on 90.9 WGUC and 91.7 WVXU. Chris holds master’s and doctorate degree from the University of Southern California; he completed his undergraduate degree at Occidental College. Chris also studied piano and orchestral conducting in Milan, Italy. Recently, Chris was the co-recipient (with KellyAnn Nelson) of the Norma Peterson Award for Arts Outreach from the Over-The-Rhine Chamber of Commerce, and named as a member of the 2013 class of ‘Forty Under 40’ by the Cincinnati Business Journal. Recent engagements include the U.S. premiere of Telemann’s 1716 Brockes Passion with Collegium Cincinnati, the premiere of DiOrio’s A Horizon Symphony with the Cincinnati Boychoir. With the Boychoir he will travel to Sydney and Brisbane, Australia, in July 2015. Associate Director | Manami White Manami White has performed both nationally and internationally with orchestras, chamber ensembles, and in numerous recital settings. An associate member of the Columbus Symphony Orchestra and an extra violinist with the Cincinnati Symphony Orchestra, Manami is also concertmaster of Collegium Cincinnati, the Kentucky Symphony Orchestra and associate principal second violinist of the Cincinnati Chamber Orchestra. In addition, she is guest concertmaster for other regional orchestras including the Ohio Valley Symphony, and the Richmond Symphony. She has also toured internationally with the American Sinfonietta. Manami’s solo performances include appearances with the North Florida Symphony Orchestra, MUSE, and the Kentucky Symphony Orchestra. She has won First Prize honors in the Hemphill-Wells Sorantin Young Artist Competition, the Dorothy Starling Competition, and the concerto competition at the University of Cincinnati College-Conservatory of Music. Also an accomplished chamber musician, Manami has performed in the CCM Faculty and Alumni Chamber Music Series, the Taft Chamber Music Series, the Contemporary Arts Center Chamber Music Series and the Knox Music Series. Manami is Adjunct Professor of Violin and Viola at Xavier University. Originally from Seattle, Manami received her bachelor’s degree from CCM and continued post-graduate work there. Past teachers have included Dorothy DeLay, Naoko Tanaka, Makoto Kaneshiro, and Katsutoshi Nakamura.